Minimum Technical Competencies have been introduced by government. They are a set of criteria that installers and surveyors are required to meet when replacing windows and doors in domestic properties in order to prove their MTC Competency. 2. Is complying with the MTC mandatory? Yes. Every installer/surveyor will need to demonstrate that they satisfy MTC Competency to be allowed to continue to work through any of the glazing Competent Persons Schemes. This is different and in addition to companies needing to transition to Certified Installer status. 3. Where have the MTC come from? industry for electricians, heating installers, plumber or gas engineers. MTCs were introduced by government (DCLG) for the fenestration sector in 2012. 4. When do MTC cards come in? All installers and surveyors must be able to show they are MTC compliant by June 2014. 5. How does a fitter obtain his MTC card? The fitter’s work is independently checked by an assessor who will visit the fitter on site. The fitter will also have to pass and exam to prove their knowledge regarding regulations and specifications of windows and doors in order to show MTC Competency. Windseal Double Glazing have full FENSA Certified status, and our team is lead by Liam, a fully MTC qualified fitter with a 98% pass rate (the highest FENSA had ever seen at the time of passing!) so you can be sure of his MTC Competency. Remember- it is the individual fitter that needs an MTC card, not the company you use. 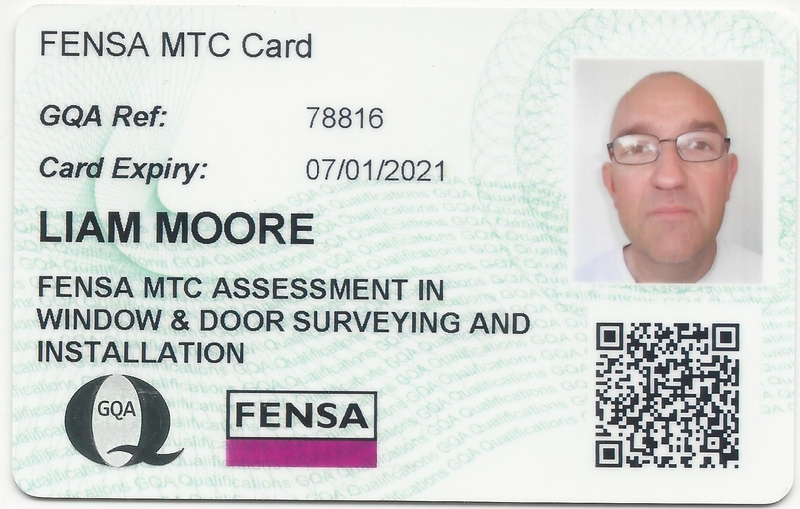 Always ask to see the fitters card to verify their MTC Competency BEFORE the work begins!